In the aftermath of the Mongolian invasion of 1241, beleaguered Christians struggle with the presence of a violent horde and a world turned upside down. Apocalyptic fever sweeps through Europe, infecting even the most rational individuals, leaving all to wonder if they are seeing the end times—or an hour when new heroes will emerge from the ruins of cataclysmic defeat. An order of warrior monks, the Shield-Brethren, refuses to yield, plotting to overthrow the invaders despite insurmountable odds. Father Rodrigo Bendrito receives a prophecy from God and believes it’s his mission to deliver the message to Rome. Along with the hunter Ferenc, orphan Ocyrhoe, healer Raphael, and alchemist Yasper, Rodrigo sets out to reclaim Europe. But to save Christendom, someone must slay the fierce Khan of Khans. 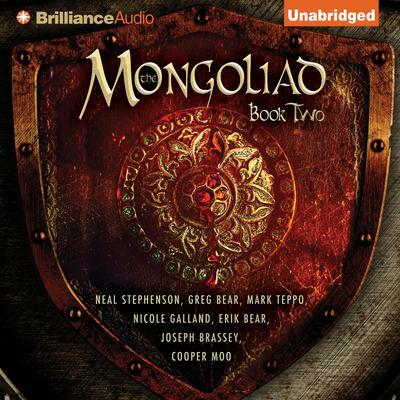 Brimming with intrigue and colorful characters, The Mongoliad: Book Two is a riveting, expertly rendered tale about the will to survive.